DHS was not fully prepared to implement the Administration’s Zero Tolerance Policy or to deal with some of its after-effects . . . DHS also struggled to identify, track, and reunify families separated under Zero Tolerance due to limitations with its information technology systems, including a lack of integration between systems. Before the Zero Tolerance Policy was instituted in May 2018, families apprehended while attempting to enter the United States illegally were separated only in limited circumstances, such as if U.S. Customs and Border Protection (CBP) determined that an adult was not a child’s parent or legal guardian, or the adult had a criminal history. In most cases, families either remained together in family detention centers operated by ICE while their civil immigration cases were pending, or were released with an order to appear in immigration court at a later date. The Zero Tolerance Policy fundamentally changed the government’s approach to immigration enforcement, referring adults arriving illegally in the country for criminal prosecution and separating them from their minor children. The Secretary of Homeland Security assured the public that “[i]f an adult enters at a port of entry and claims asylum, they will not face prosecution for illegal entry,” and thus will not be separated from their children,” but the Report notes that CBP was “metering” legal ports of entry to the United States to limit the number of asylum-seekers allowed to cross the border. As a result, many families who were refused entry at a legal port attempted to cross illegally, caught, and separated. 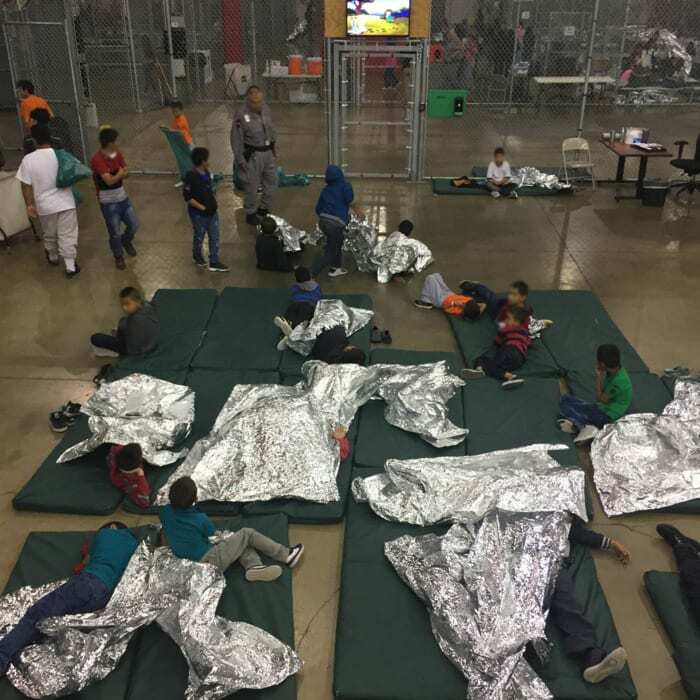 Children in custody were held in CBP facilities longer than the permitted 72-hour holding period in 40-44% of cases, according to the Report. Many were transferred to the custody of the U.S. Department of Health and Human Services Office of Refugee Resettlement, which is responsible for long-term custodial care and placement of unaccompanied alien children, and held in various foster homes and shelters across the country. Ofc. of Insp. General, Dep’t of Homeland Security, Special Review – Initial Observations Regarding Family Separation Issues Under the Zero Tolerance Policy (OIG-18-84 Sept. 27, 2018). Ofc. of Insp. General, Dep’t of Homeland Security, Results of Unannounced Inspections of Conditions for Unaccompanied Alien Children in CBP Custody (OIG-18-87 Sept. 28, 2018). Nick Miroff, Maria Sacchetti & Seung Min Kim, Trump’s Family Separation Policy Was Flawed From the Start, Watchdog Review Says, WashingtonPost.com, Oct. 1, 2018. Leandra Bernstein, HHS Loses Track of Another 1,500 Immigrant Children, Senators Demand Accountability, NBC24.com, Sept. 18, 2018.